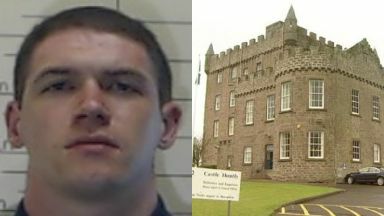 Grant McNamara, 26, disappeared from HMP Castle Huntly at 2pm on Monday. Police are hunting a prisoner after he went missing from a jail in Dundee. It is believed that he has connections in the Paisley area. He is described as being 6ft 2in, medium build, clean shaven with short brown hair. If seen, members of the public should not approach him and should contact Police Scotland on 101 or 999.